If you have nothing to lose if your account is hacked, then you can ignore this. Whether for Facebook, email, WordPress, accessing your computer or any other protected platform, there is a need to keep passwords strong. Your duty is to have a password combination that cannot be easily guessed by potential hackers. Here are four tips to help you create stronger passwords for your profiles. 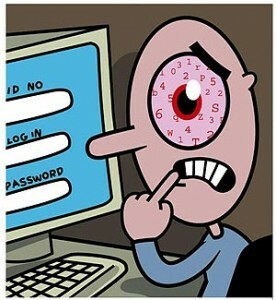 Avoid Personal Information: So, you’ve always thought using your personal information as your password is a great idea. Nay! When hackers target your account, they make several guesses and I can bet one of their first guesses will be your personal information. It’s known to every hacker that too many people use things such as birthdays, wedding anniversaries, pet name and the likes as their passwords. It just amazes me when I see people using their birth year as their ATM access code. Passwords are secret: A friend told me of his first time signing up Yahoo Mail. He was guided by a friend and when he was asked for what he’ll prefer as his password. “I don’t understand”, he told his friend. Then his friend answered “Passwords must be secret”. You won’t believe what his response was: “Okay, make it secret”. To cut it short, my friend’s first password was “secret”. Don’t be like my friend who used “secret” as his password thinking it’s truly secret. You must have heard that “passwords are like underwear. You shouldn’t leave them out where people can see them…” You see, I’m always surprised when I hear people share their passwords with people. “Hey, he’s my friend.”; but “we’re very close”. Well, what is wrong is wrong. If someone else must access your account, create a share-able password and switch to your regular password when done. Avoid Common words: For you to use those common words, you must have thought that you’re the only one who make use of them. If your password is “password”, “test”, “secret” and other common password-related words, you are taking a high risk. Such are easily guessed by hackers. Avoid Keeping it Simply Simple: You can’t afford to take chances with your passwords. Making your passwords a little bit complicated reduces your risk of getting hacked. Use capitalizations in between. Add one or two numbers. Add a symbol. And so on. Just make it difficult for potential hackers to guess. So, in all, you can have something like “LulaBee16*”. Thanks for adding one more to it. Great tip it is. I believe the major reason for having this post is to help people have secured passwords to their personal information,i expected a major point to have been mentioned which is the use of ''SPACEBAR'' which remains the best i have known in about 10years cos nobody can crack it.So i will add it as tip number 5….Cheers!